See Also: Book Notes, Conceptual Spaces Cheat Sheet, Swarm Intelligence, Blank Slate, Clock of the Long Now, Info Viz & Perception, Consciousness: a user's guide, On Intelligence, The Quest for Consciousness, The Space Between Our Ears, The Stuff of Thought, Neuroscience of Human Relationships. If you reading this, you probably are in charge of taking care of one or more human animals. Perhaps you even are a human! If you are take heart. This page is a very, very, very rough draft of some notes about what humans need to thrive. I think the mind, body and spirit split is a usefult start, but, I think we need to add a few more aspects of humans. Before we get started I just want to say that you are unique, just like every other human. Check out these Human Universals. 1) Body: The most apparent aspect of a human is the body. Care and feeding is the same as for all mammals: air, water, food, clothing, health, safety and sanitation - the basics. Maslow's Hierarchy of needs is great. We are animals and our bodies need clean air, water and food. We need to exercise at least three times per week, etc. 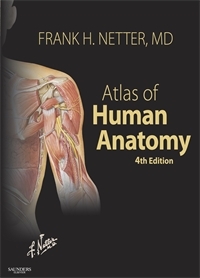 If you are interested in your body, I strongly recommend Netter's Atlas of Human Anatomy - it is a work of art as well as a goldmine of information. 2) Mind: I would call the mind the software which runs on the hardware known as the human brain. All animal brains are amazing and mammal and primate brains are more so. Consciousness is the key to the mind. Here is a user's guide and Koch's Quest. Hawkin's On Intelligence proposes a great theory on how the hardware works. 3) Spirit: Whether you believe in God, gods, the Force, a Higher Power or you are an atheist, you cannot deny that human have a power need to believe there is some reason behind the unexplainable. That evolution favored the superstitious makes sense. Do not confuse being spiritual with being religious. 4) Emotions: Goleman's Emotional Intelligence is still a classic. Emotions are feeling that drive our reactions to other people. We are social animals and the best explanation of why our brains got so big is to understanding. 6) Money: My college roommate said that having money is not as big of a deal as not having money. Also, somone on the PBS This Emotional Life said "if money is not buying you happiness, you are not spending it right"
7) Work: You will spend a huge fraction of you life "working". Let's say 40 hours per week for 40 years = 80K hours. Let's say we live to be 90 years old. That is 788400 hours. To be healthy, we should sleep 8 hours a day, so we are awake for 525600 hours.